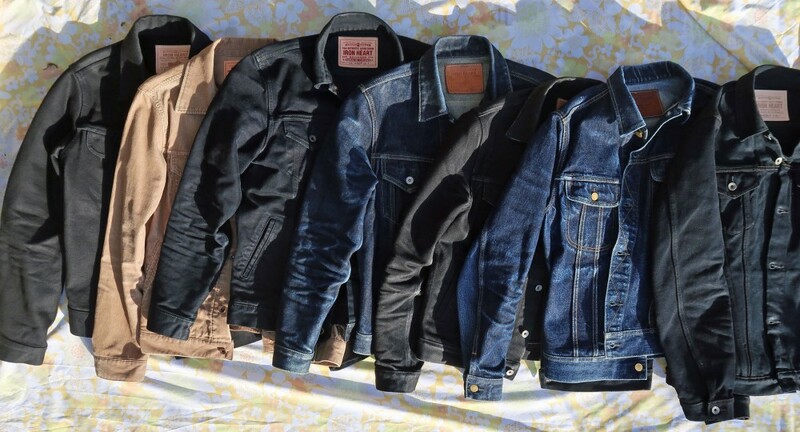 It's fair to say that I like IH jeans jackets, now having 7 (plus the 9526V). If I had to choose, my favourite would be the 101J, followed by the 526J and then the 526-sbg. I have big hopes for the 526Lod, though. Left to right: 101J-blk, 69, 526-142od, 526, 526-sbg, 101J, 526Lod. @wdw Damn, I'm jealous of that 101 J. Still heavily regret selling mine. And three overdyed Type IIIs - that's pure decadence. I like it.